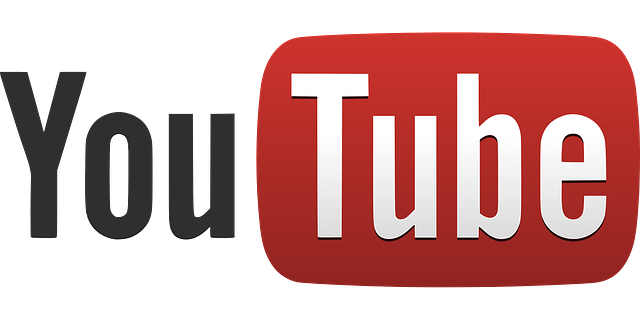 We have all heard the chatter that YouTube is the second largest search engine based on volume in the world. Further to this interesting fact, video is the most engaging form of advertising across almost all platforms: desktop, mobile devices, laptops, social media platforms, you name it. If a video is available people tend to watch it when they are searching for products or services. Videos are click bait! In 90 seconds you can say a lot about your product or service using video and it will engage your search audience more than simple words could ever do. Yellowpages has been capitalizing on this for years offering simple walk-through videos of businesses and then uploading them to the YP YouTube channel as part of their multiple thousand dollar ad packages. Even though those videos do not get much traffic for the most part. + The total number of people who use YouTube – 1.325 Billion. + uploaded to YouTube every minute, 300 hours of video! + Almost 5 billion videos viewed on Youtube every single day. + Female users make up 38% and male users are 62%. + More than half of YouTube views come from mobile devices. + YouTube’s mobile revenue is up 2x y/y. + YouTube overall reaches more 18-34 and 18-49 year-olds than any cable network in the U.S.
+ The number of hours people spend watching videos (aka watch time) on YouTube is up 60% year-over-year, the fastest growth seen in 2 years. + You can navigate YouTube in a total of 76 different languages (covering 95% of the Internet population). These numbers are pretty staggering. People are making a very good living just on YouTube alone and businesses that tap into additional engaged traffic using YoutTube not only gain exposure and clients, but they also build an authoritative link back to their business which in turn boosts SEO for their site/brand in general. This was the first test using this strategy. 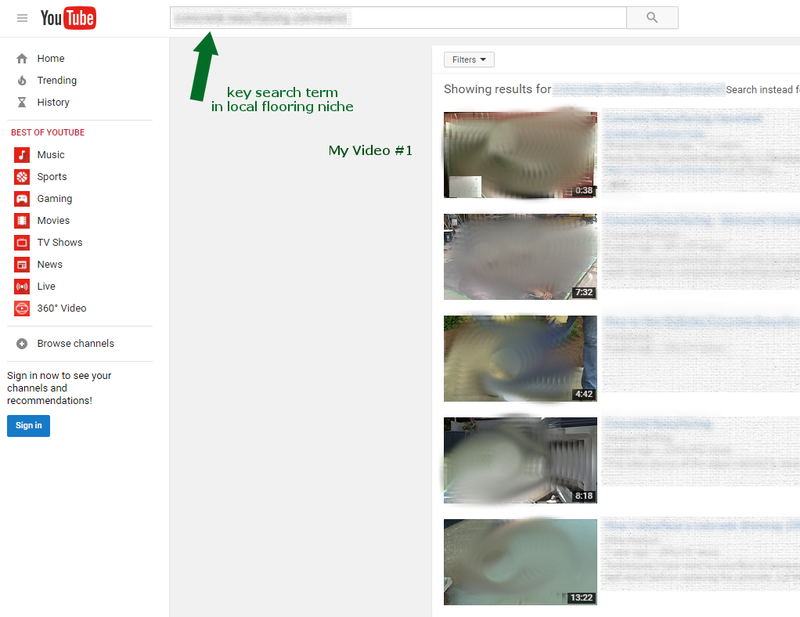 The video was uploaded and optimized using a readily available system that has been around for years. Then further SEO was applied. The cool thing is the results are still sticking and the video I uploaded outranks the corporate video from the company that launched the product in the first place. It was a product launch for a new health product and my video announcing it coming to market still outranks the actual company’s video for the keywords I was targeting. Also, the length of a video does not seem to be a factor as this video is only 29 seconds long. 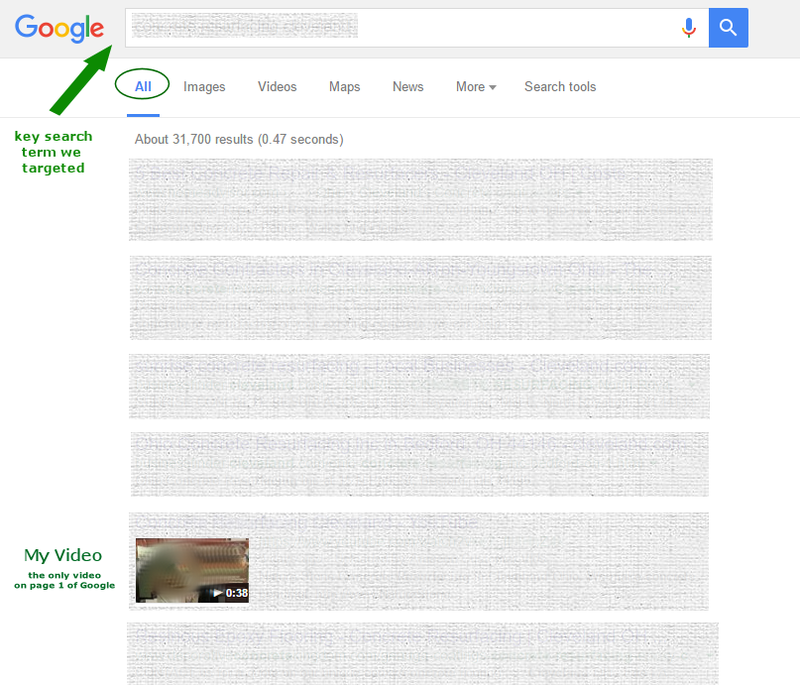 The video it outranks from the large health company is 3 minutes plus in length video. This was done completely as a test to show a client some of the potential available for video. No further SEO was done to help maintain the rankings on this video so it will likely drop off in the future depending on the competition. At any rate, it hit number one on Google within hours for the target keyword which was a generic flooring term commonly searched and the name of the city. Essentially a local search for a common keyword. 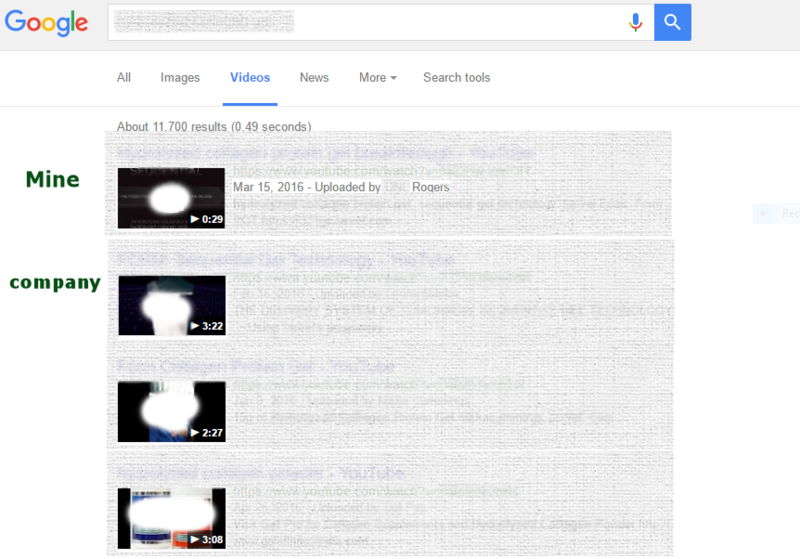 The video appeared on page 1 of Google and at the top of YouTube. At the time of this blog, it remains there. This was also a video the client currently had on YouTube that was not seeing much action. In many cases, we simply take a customer’s existing uploaded video, add an intro and outro to it and then repost it with the YT SEO strategy, details, descriptions, and tags. The results are stunning and an incredibly powerful way to get your message in front of your target audience. 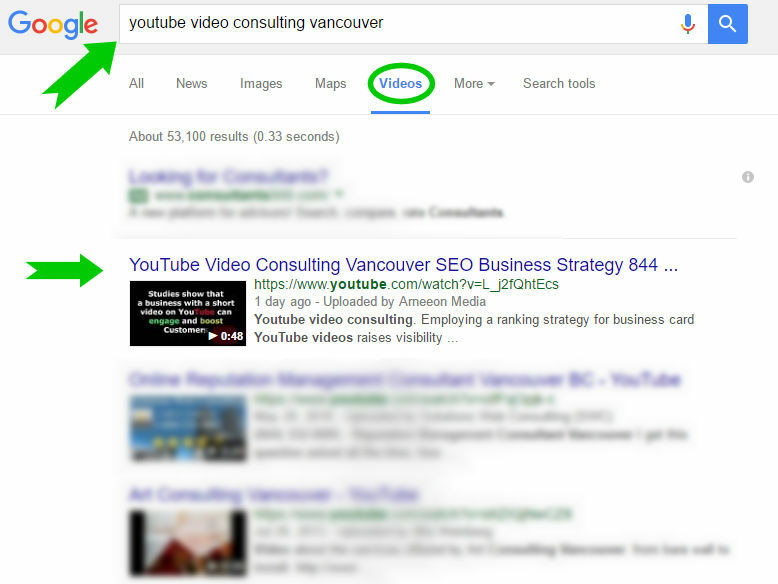 is happening right now with this article, targeting the keyword “YouTube Video Consulting Vancouver” I am going to Live Stream this video in on Tuesday (Sept. 27, 2016 @ 1pm PST) this will upload it automatically to YouTube and will allow you guys to watch the ranking unfold for it. This may seem to be a bit of a risky maneuver on my part but experience shows consistent results. 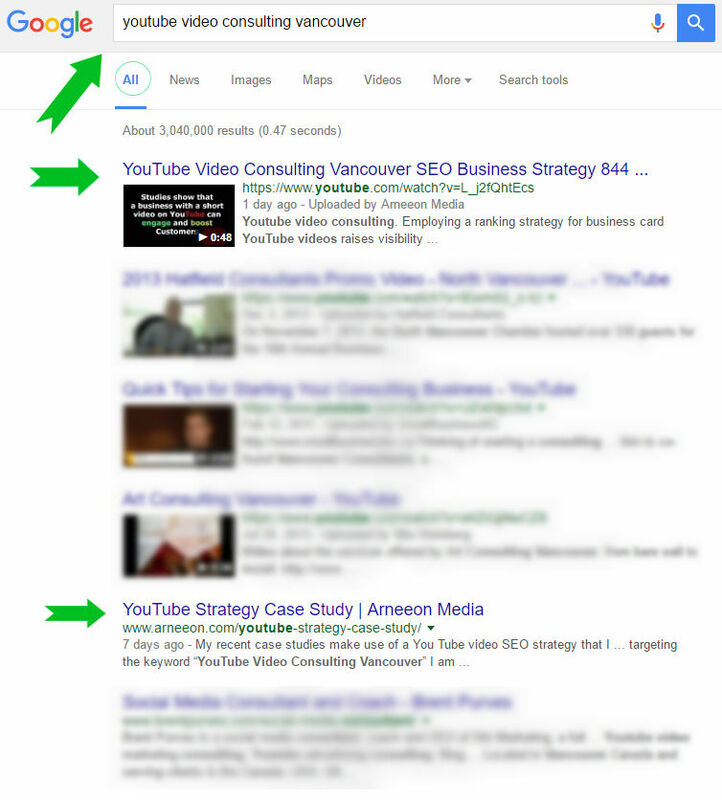 Having consulted with some of my SEO buddies who are also seeing great results, I feel very confident that I can get this video to page 1 of YouTube and potentially Google as well in a very short time using this YouTube video SEO method. UPDATE Sept. 28, 2016, Well that was Fast! 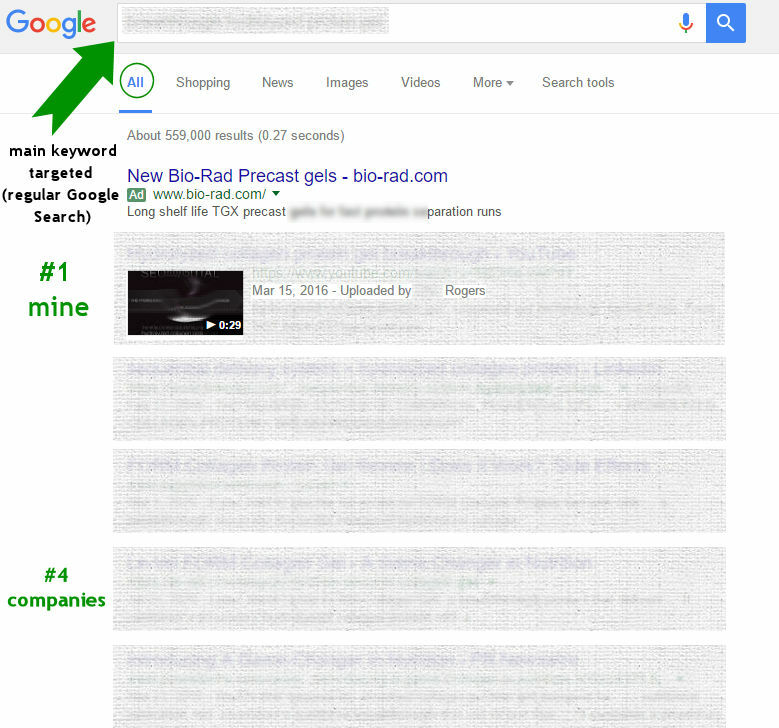 We hit #1 for the target keyword today in Google regular search, video search and in YouTube. One day after the live upload … Slam dunk! 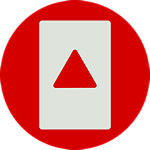 Videos are like multimedia business cards in a 1 to 5-minute segment you can visually lay out what you do. Even simple videos with a slide show, music, your logo and phone number with a link to your site in the description can do wonders for your business. It brings familiarity and branding at the same time to potential customers that are searching for your service. Arneeon Media is now offering this as a service that can be done with new or existing videos. Note, existing video ranking is an added SEO skill strategy similar to regular website SEO and as such, it can take time unless you have us re-upload it with some slight modifications using our YT strategy. We can also make simple slideshow style videos for you. To do this we will need photos and graphics supplied for editing the video. What are our prices? Here is a breakdown in US dollars. Interested in Search Engine Optimization for your site/business?